It has been often said that when Google redesigns a product, features are often removed. A good example of this would be the material Google Maps release, where a lot of 'classic' features of Maps were absent. Said features do, however, get added back in, and today one returns to Google Photos after being left out of the Google+ Photos split: rotating video. 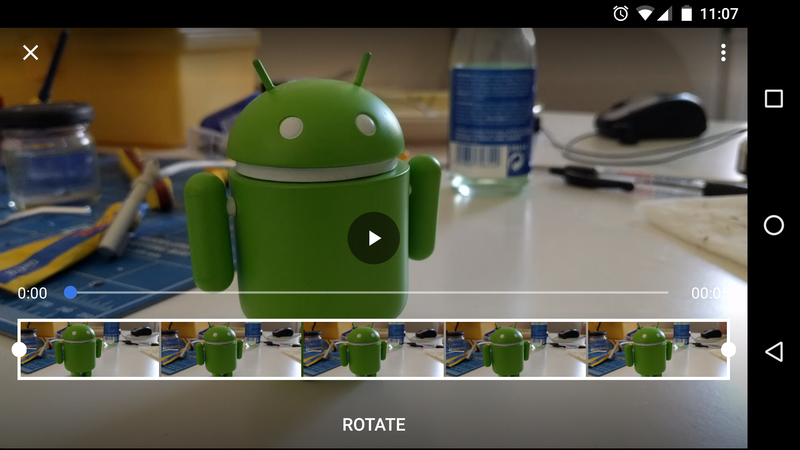 As of version 1.25 (we can't find it on any version earlier than that, although it may exist) the ability to rotate a video at 90° intervals is a feature in Google Photos. To do this, select a video and choose to edit it. You will see the word 'ROTATE' below the trimming slider. There is one caveat though: because the edit features are only accessible on a video in your camera folder, you can't edit or therefore rotate an uploaded or downloaded video. So make sure you edit the recorded footage before you upload and delete the device copy. We're not sure if this is an unannounced feature in Google Photos 1.25 or if it's a server-side switch. Either way, the feature is back, which is the main thing. Google Photos 1.25 is available on Google Play or on our sister site APK Mirror.